Buttermilk scones are the perfect tea time treat especially when paired with a thick strawberry preserve and lashings of clotted cream. This recipe is an adaptation of The Sunday Times Complete Cook Book which can be thrown together in the time it takes to preheat your oven and only another 10 minutes or so to bake! This is another great find from my trip to my in-laws’ house. 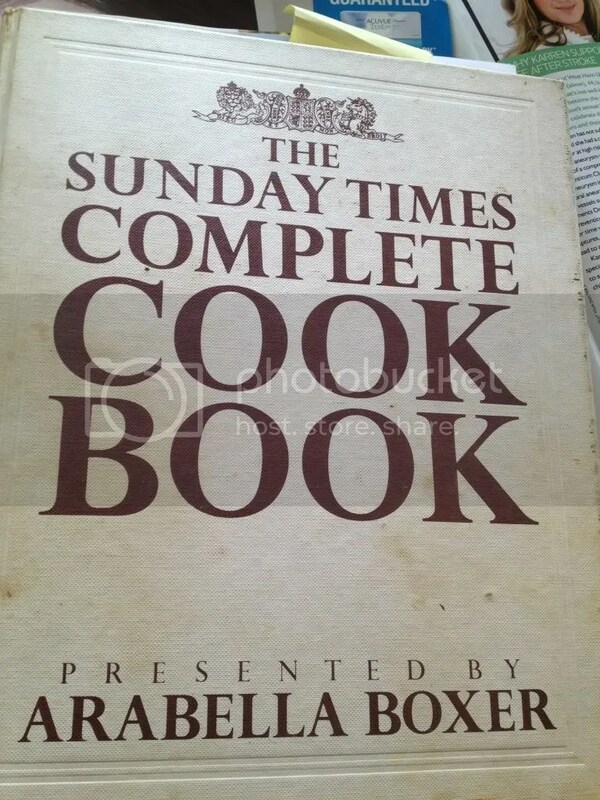 My father-in-law has a cosy little cove in his kitchen stuffed full of cookbooks. 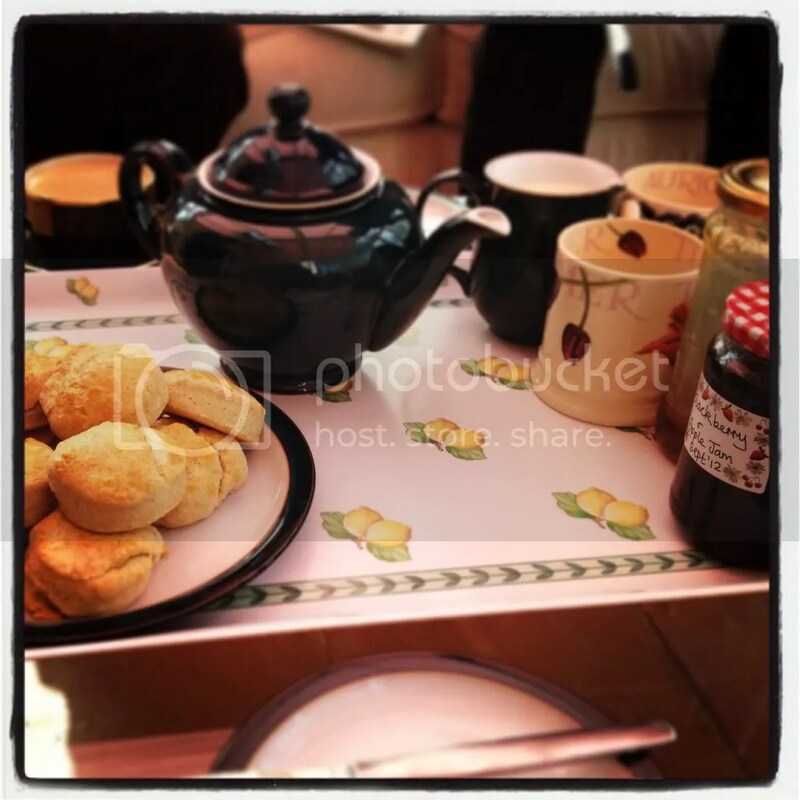 While relaxing in the conservatory my sister-in-law swept in with a tray full of homemade jams, tea and freshly baked scones. But she’d only been gone 30 minutes! 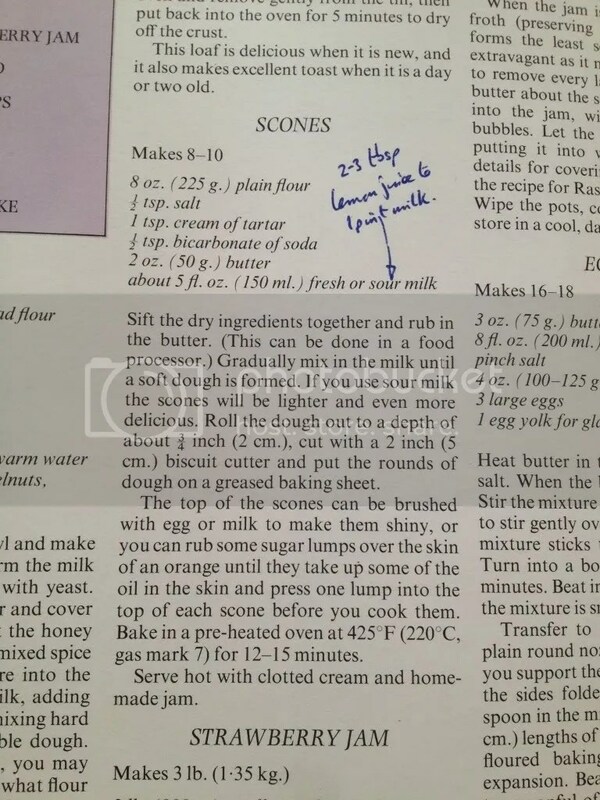 She told me she’d nabbed it from this cookbook I made sure I left with the recipe. Below you can even see where my father-in-law scribbled in his own notations, something he regularly does and I find very helpful and endearing. 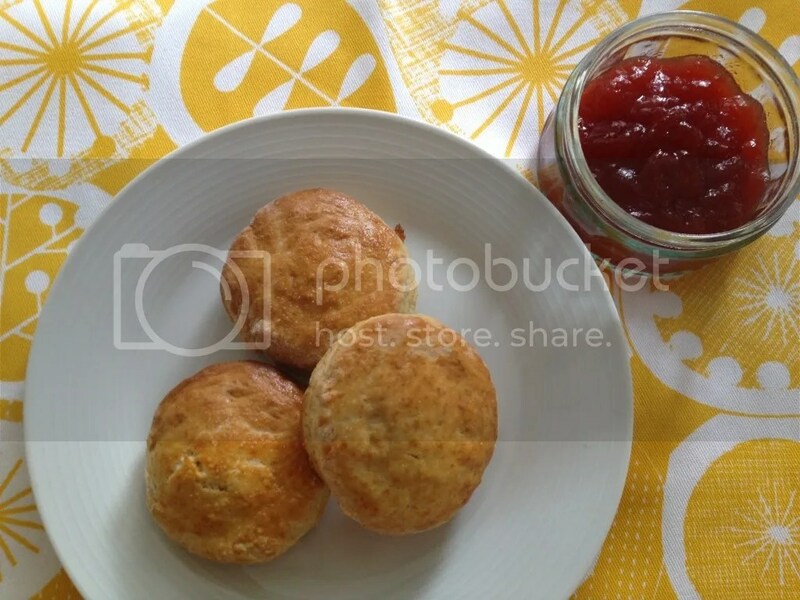 These scones are basically buttermilk biscuits so remember they can also be served with a savory dish such as fried chicken or sausage gravy. 1. 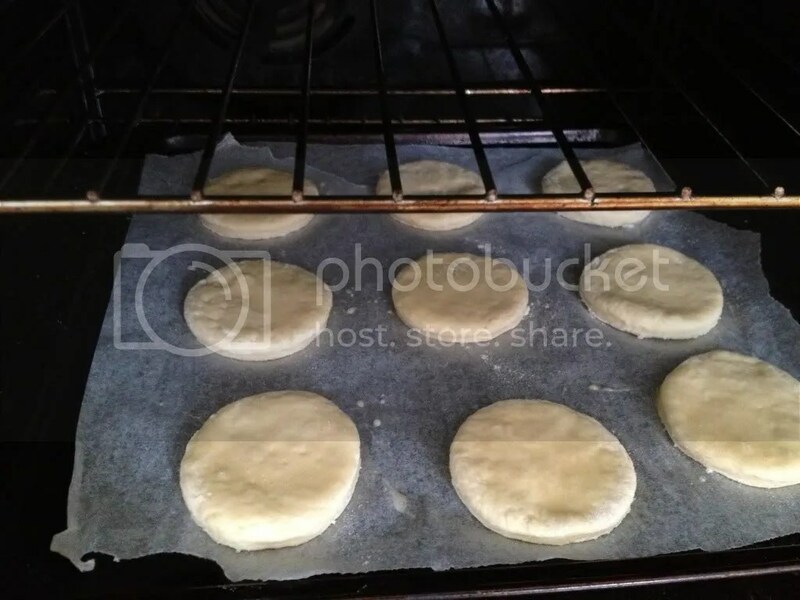 Preheat the oven to 425 F or 220 C.
2. 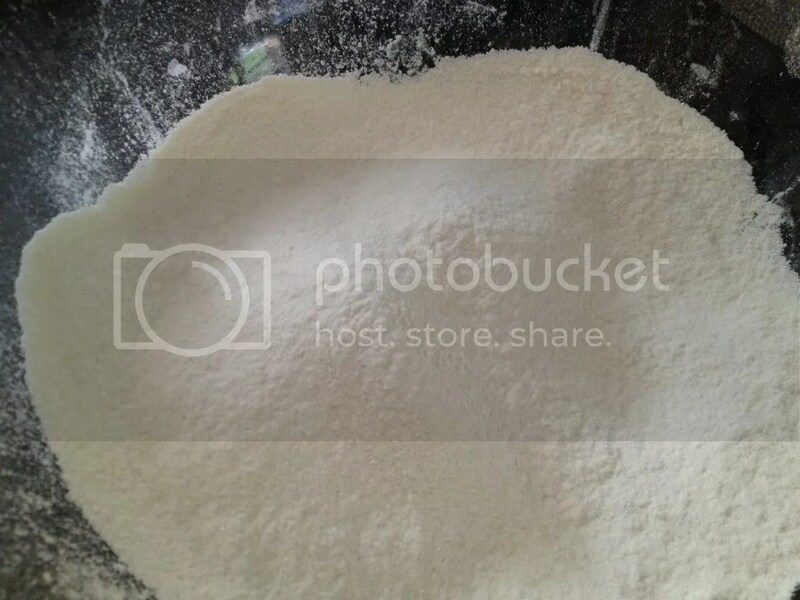 Sift the flour, salt, cream of tartar and baking soda together. 3. 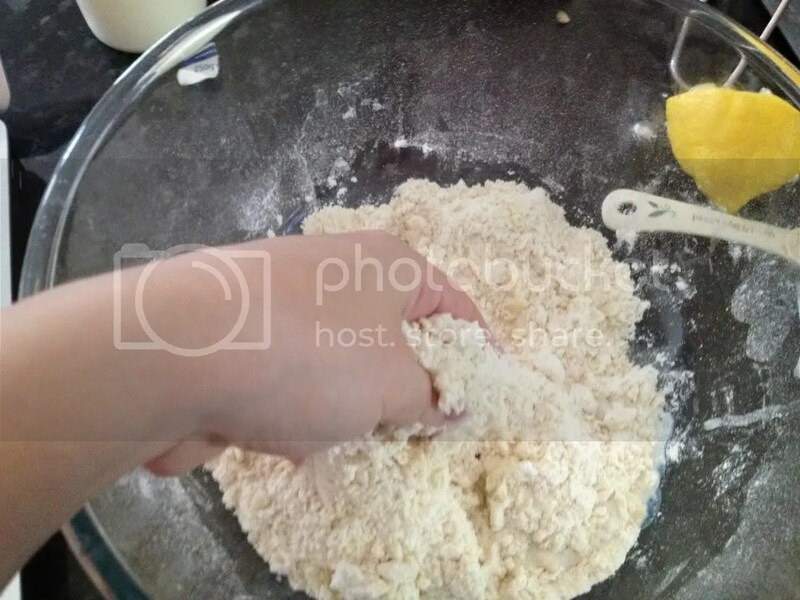 Add butter and use your fingers to rub the butter into the flour mixture. 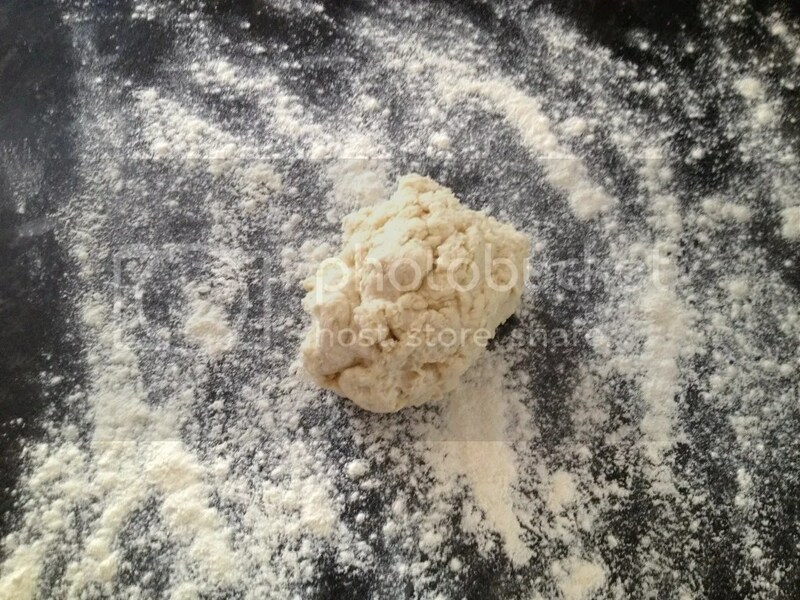 Will have a crumbly, lumpy texture. 4. Pour out the measure for your milk. 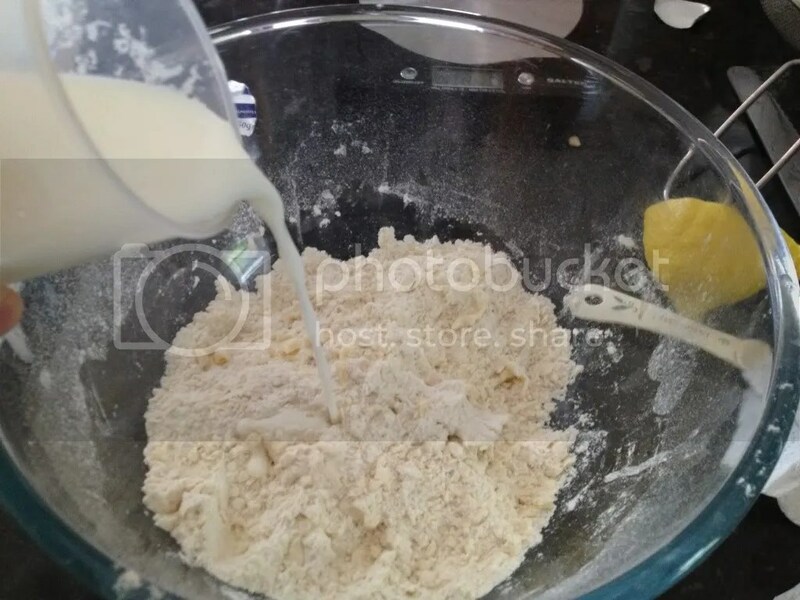 The recipe suggests using soured (buttermilk) milk for fluffer scones. 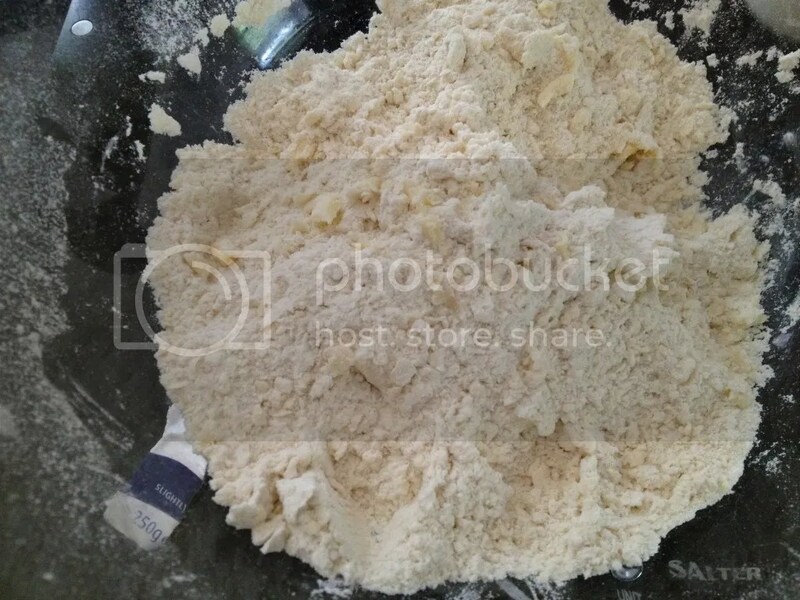 If you have buttermilk use it. 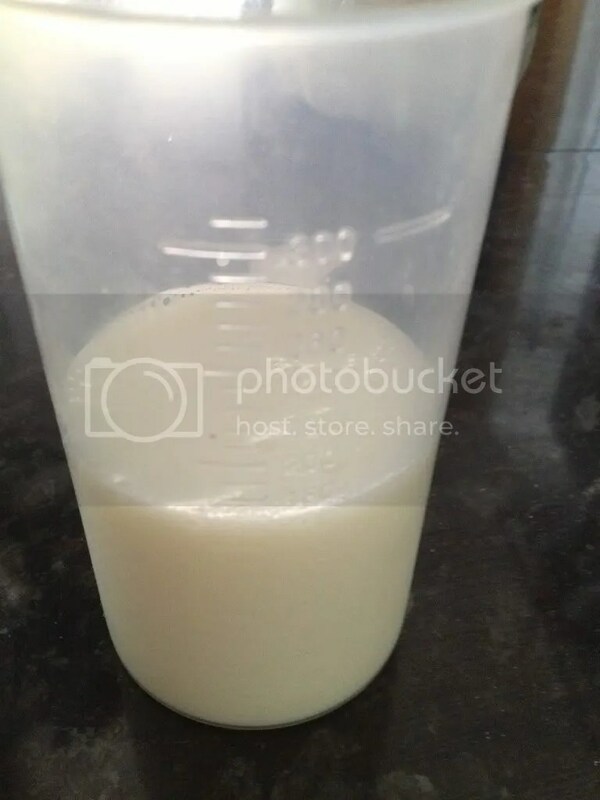 If you have plain milk you can use it. 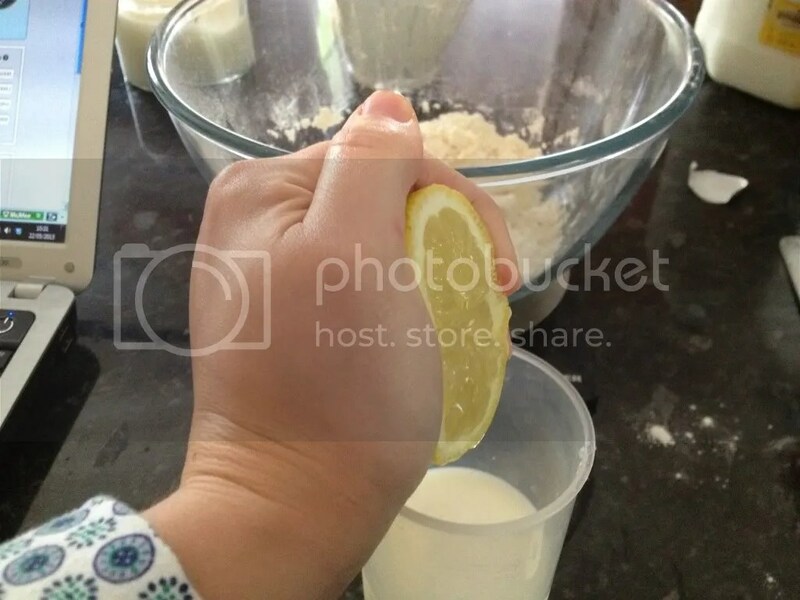 If you would like to make plain milk into buttermilk add the juice of 1/2 a lemon or some vinegar to sour the milk. 5. 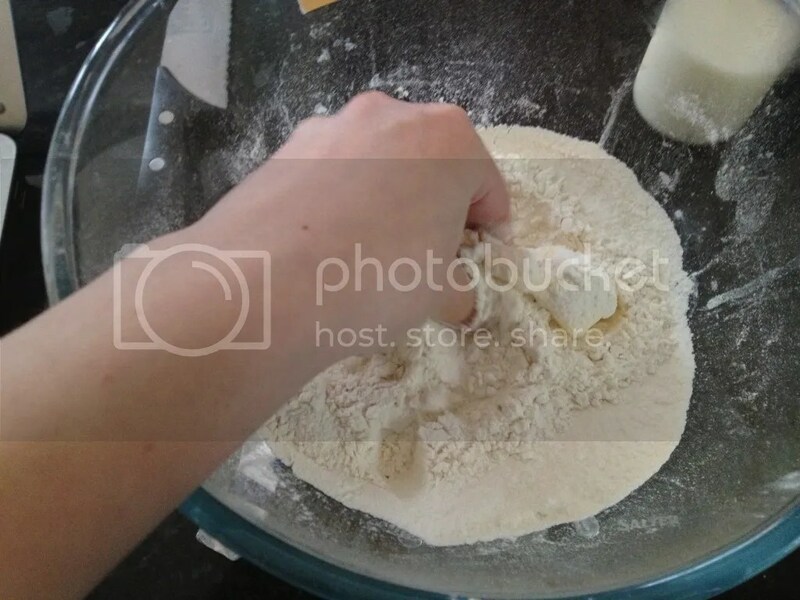 Pour the milk in a bit at a time and incorporate into the dough with your fingers until “a soft dough is formed.” I didn’t use all the milk in the end as the mixture would have been too wet. 6. 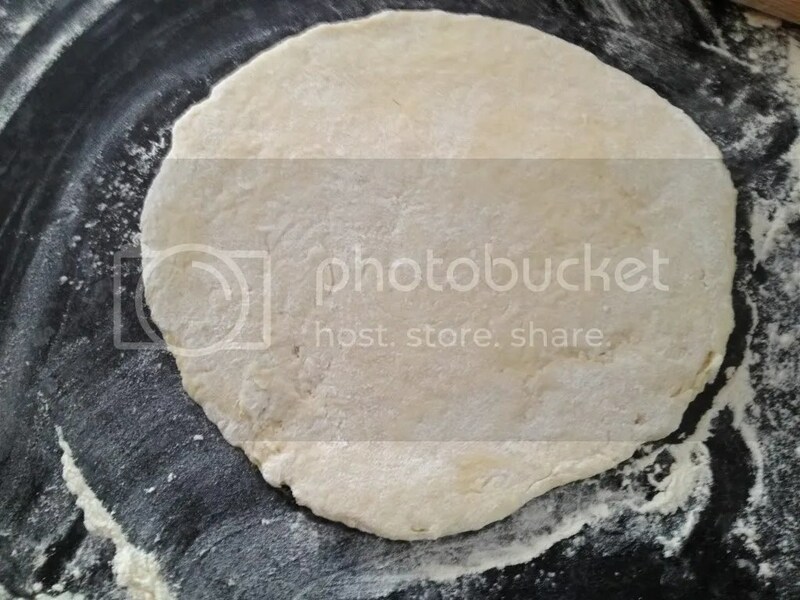 Place the dough on a lightly floured surface and form into a disc. 7. 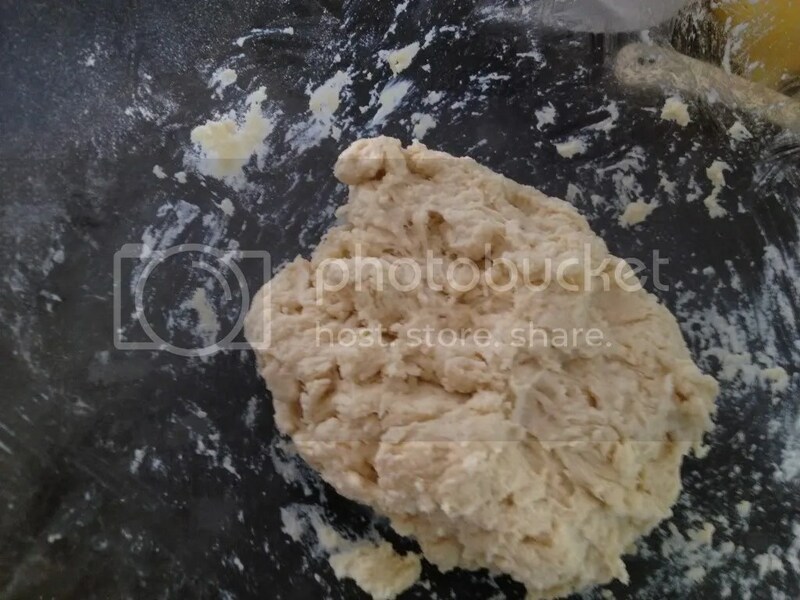 Roll the dough out until it is 2 cm thick. This is quiet thick. 8. 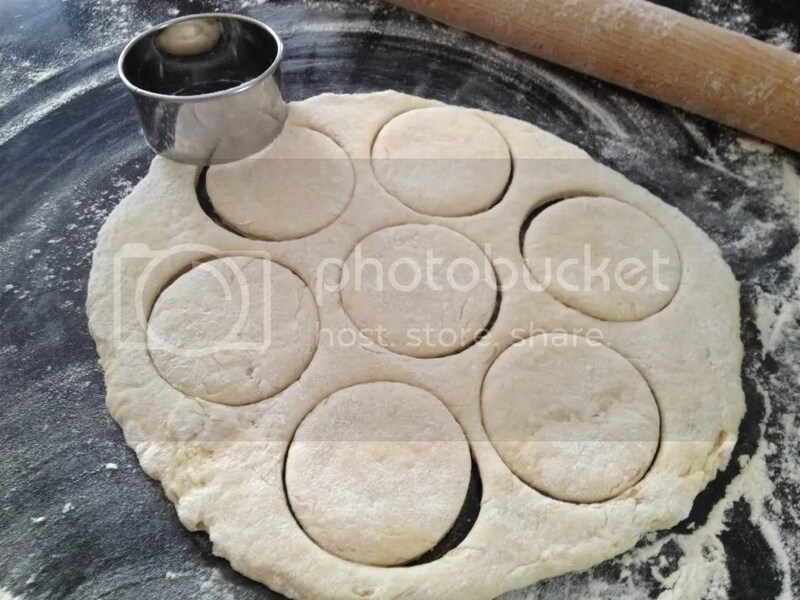 Use a round cookie cutter or biscuit cutter to cut your scones. I used a 2 in cutter as suggested in the recipe. 9. 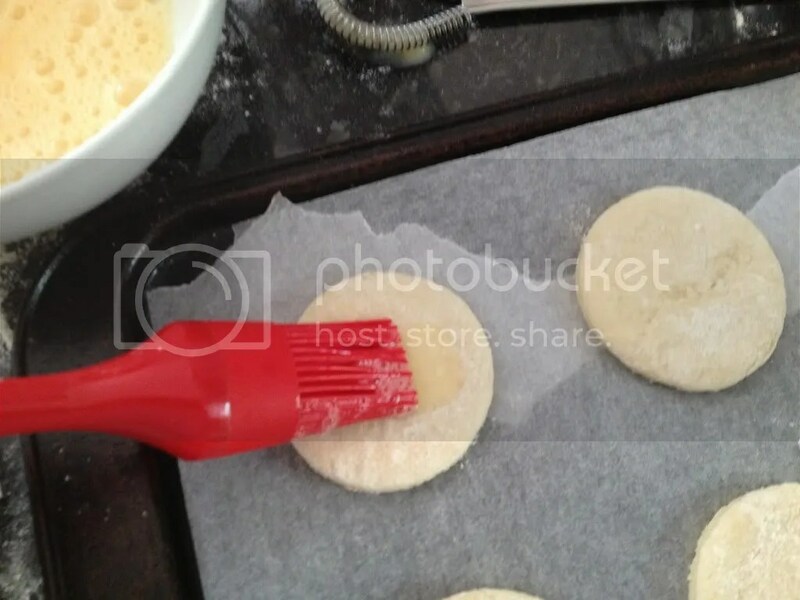 Place the scones gently onto your baking sheet and brush the tops with an egg wash (1 egg whisked with a teaspoon of water). 10. Bake for 12-15 minutes or until golden on top. 11. 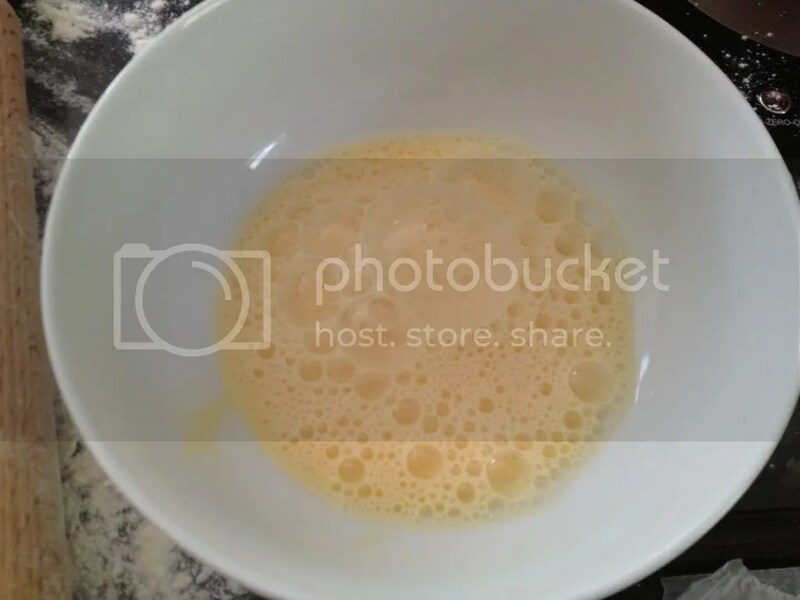 Serve with jam, clotted cream and a pot of tea. 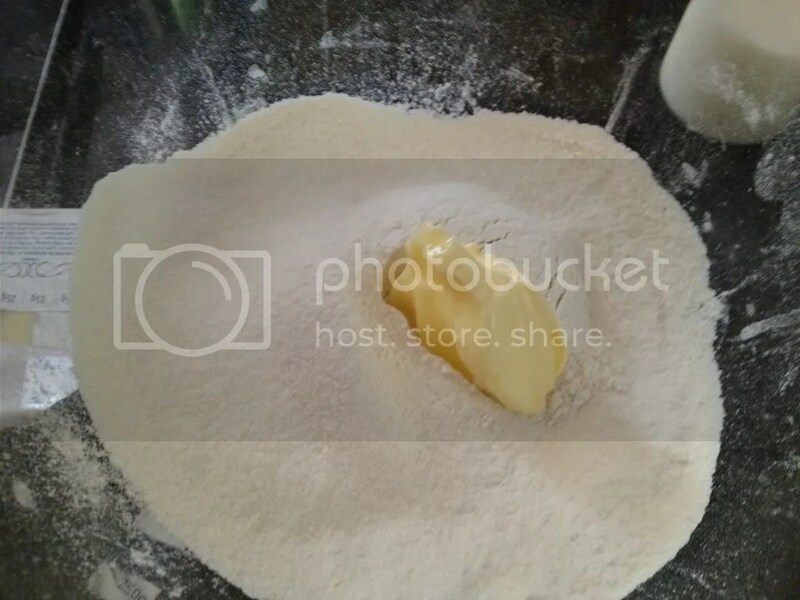 Or…these are essentially buttermilk biscuits and can be served with sausage gravy, fried chicken or simply trowel butter on them and enjoy.